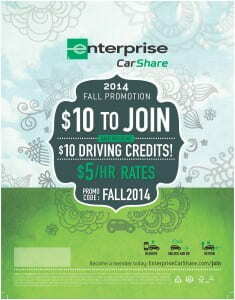 New Promotion Announced by Enterprise CarShare! 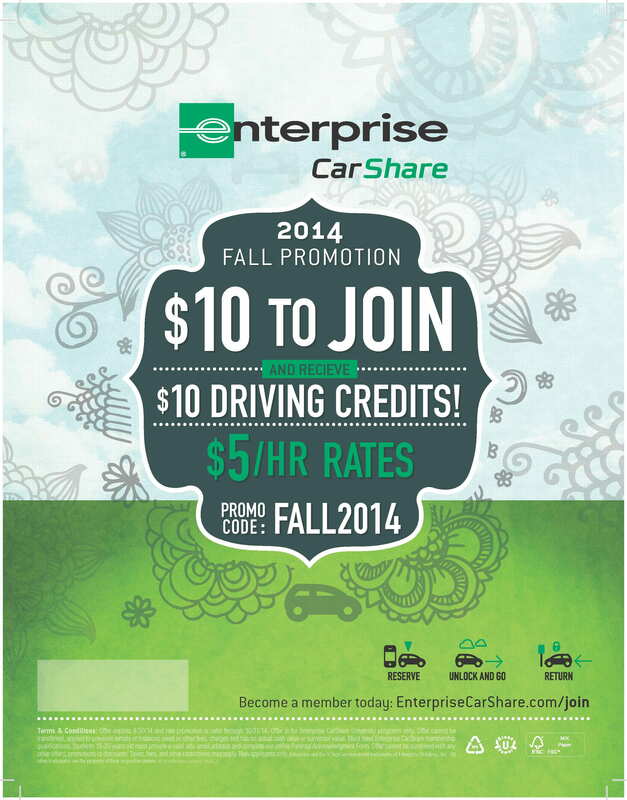 Now’s the time to get a membership with Enterprise CarShare – join and you’ll be ready to roll when you come back to campus in just a few more weeks! Go HERE to join!